School buses are supposed to keep your child safe as they travel to school in the morning and from school in the afternoon. Unfortunately, despite the many precautions taken by school districts and parents to ensure that kids remain safe and free from harm, school bus accidents still happen in this country. In the worst cases, school bus accidents can be tragic. That’s why it is imperative that your child understand the basics of school bus safety and know how to stay safe while waiting for the bus, boarding the bus, sitting on the bus, and exiting the bus. If your child waits for the bus to arrive at a bus stop, make sure that they know to remain on the sidewalk and stay out of the street. Although not all school buses have seat belts, some buses do come equipped with the safety restraints. Make sure that your child understands the importance of wearing their seat belt while sitting a moving vehicle. Depending on their ages, children can be loud and playful while riding the bus. However, it is still important for kids to be aware of their surroundings when taking the bus to school and to recognize that the bus driver needs to be able to focus on the roadway. Any noises or sounds that distract the school bus driver could potentially be deadly. When the bus finally does arrive at its destination, your child may be in a hurry to get off the vehicle. If your child isn’t ready when the bus stops, they could make the mistake of attempting to exit the bus without their backpack, books, or some other item that they need for school. Moreover, your kid might compound this mistake by trying to run back onto the bus in order to retrieve their belongings, which could place them, and others, in jeopardy. Whether your child is preparing to board the bus or get off the bus, they need to wait for the vehicle to come to a complete stop before attempting to move. If your kid is at the bus stop and the bus has just pulled up, make sure that they know to wait for the door to open before even thinking about walking toward the vehicle. Many school buses are equipped with stop signs and will wait for the children to pass before moving, but your kid should still exercise extreme caution once they have exited the bus. After your child gets off the bus and attempts to cross the road, make sure that they know to let the driver see them. This also means that your child should steer clear of the rear of the bus, where it will be difficult for the bus driver to spot them. 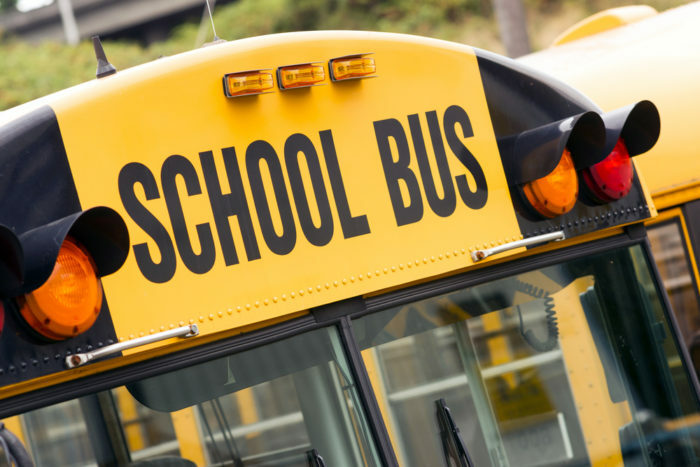 If your child suffered an injury as a result of a school bus accident in NJ, you need to talk to a qualified personal injury attorney. Richard Stoloff is an experienced personal injury lawyer who is prepared to help you with your case. Contact Mr. Stoloff today to schedule a free initial consultation.